The Lord dealt with my heart on a subject in 1978 when I was in West Virginia, U.S.A. I was there helping to build Brother Samuel Francis' church. I was over in a motel room meditating on the Lord as to what to preach because Brother Francis had asked me to minister. As I was meditating, it seemed like I could hear a voice somewhere off in the distance begin to talk about how the church had great grace upon it, but it fell down to a level that God could no longer put great grace upon it. He just had to have mercy on it for seven church ages. Now that same voice (I could hear it off somewhere) said, "Notice in Acts, Chapter 4 - the church had great grace upon it." 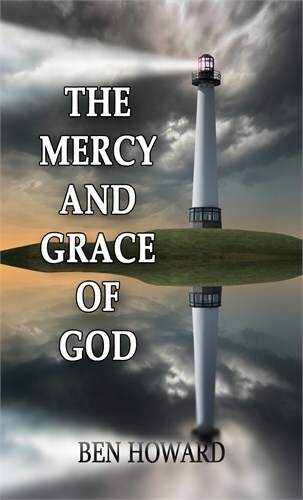 Note: We don't have the original message that was preached that night at Brother Francis' church, but I ministered on it again in a message entitled, "The Mercy and Grace of God." You can hear this on the message below, and also read the book that is available. Cast in and catch fish, because these can only be caught by special permission (predestination).